Psalm 23:4 has been alive in my life through many circumstances. Once again during the tornado God showed us that He is with us in all situations. 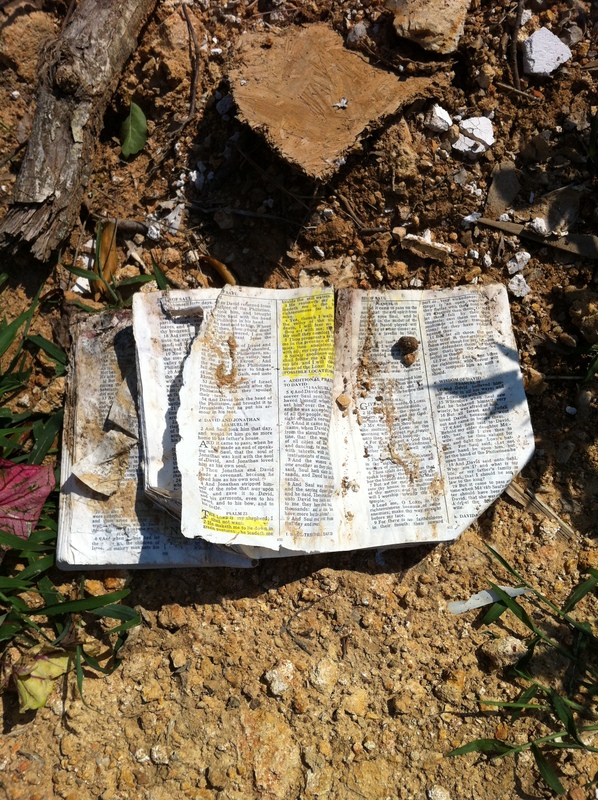 We posted a sign with Psalm 23:4 on the lot where we were buried in the rubble of our home. Weeks later we found this Bible, after everything was cleaned from the site, and highlighted is the passage Psalm 23. God speaks through His Word!